Aging Well Initiative seeks to reach people. How Effective Are Interventions With Caregivers? Impact of a tele-medicine diabetic retinopathy screening program. Dr. Sörensen is an internationally known researcher and educator in the field of Human Development and Aging with particular interests in facilitating well-being among vulnerable older adults and their families. Collaborating with colleagues in Ophthalmology, Psychiatry, Primary Care, Immunology, and with community-based health activists, she has developed and/or evaluated interventions to (1) promote positive health behaviors, (2) prevent mental and physical health problems, (3) increase access to mental health services for underserved groups, (4) assist older adults with preparation for future care, and (5) support well-being among older adults. Her specific areas of research include successful aging through preparation for future care, family caregiver stress and coping, interventions with caregivers, interventions with vision-impaired older adults, future thinking among older adults, as well as health literacy and patient education for diabetes prevention. She is the director of the Laboratory for Population Health, Disparities, and Intervention Research (LAPHDIR) in which new research and community health projects are hatched with the help of a Community Health-project Advisory Board (CHAB). 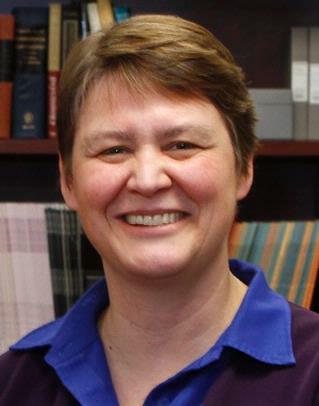 Dr. Sörensen has a keen interest in community-partnered research and is a co-founder of the Aging Well Initiative community collaboration with faith-based organizations and member of community coalitions to focusing on the empowerment of underserved groups in order to reduce health disparities. Areas of mentoring expertise include community engagement, research methods and statistics, and grant-writing; content expertise is in application of life-span developmental perspectives, adult development and aging, mental health in the context of chronic illness, health and aging, health disparities, and health promotion. Allen RS, Oliver JAS, Eichorst MK, Mieskowski L, Payne-Foster P, Sörensen S. "Preparation and Planning for Future Care in the Deep South: Adapting a Validated Tool for Cultural Sensitivity." The Gerontologist.. 2018 Sep 19; Epub 2018 Sep 19. Mak W, Sörensen S. "Are Humor Styles of People With Dementia Linked to Greater Purpose in Life?" The Gerontologist.. 2018 Sep 14; 58(5):835-842. Song Y, Sörensen S, Yan EC. "Family Support and Preparation for Future Care Needs Among Urban Chinese Baby Boomers." The journals of gerontology. Series B, Psychological sciences and social sciences.. 2018 Aug 14; 73(6):1066-1076. Author List: Ramchandran, R., Hindman, H, & Sörensen, S.
Author List: Sörensen, S., White, K. & Ramchandran, R.S.